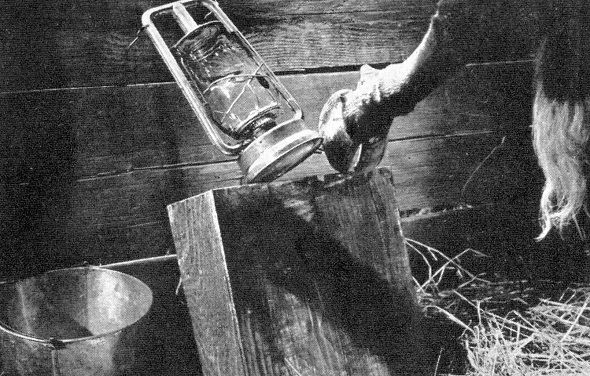 IN OLD CHICAGO—–“We O’Leary’s are a strange tribe, but there’s strength in us–and what we set out to do we’ll finish!” Some Fightin’ Irish spirit, laid down there by Ma O’Leary (Alice Brady), after her cow finished off Chicago with a flung hoof. Why, you’re just a hornswoggler. Super-production from Fox in 1938, budgeted by Zanuck at $2,000,000 as return volley to MGMs earlier San Francisco. It unfolds around the O’Leary family and their involvement with the Windy City and its often rascally side. 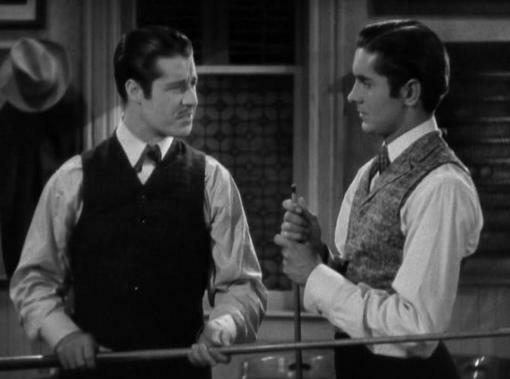 Fiction from fact in the most enjoyable old-Hollywood style, with Tyrone Power as the son with charm and weakness, Don Ameche as the true-blue brother who is disgusted by Ty’s hooligan friends, Tom Brown as the nondescript kid brother. 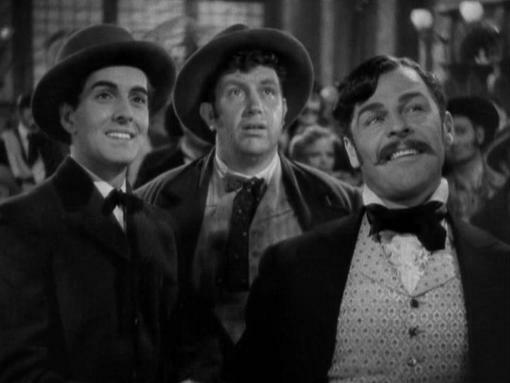 Brian Donlevy has fun as the head no-goodnik, Alice Faye sings, Rondo Hatton is hand as one of Donlevy’s goons. Miss Brady captured the Best Supp. Actress Oscar for her personification of an indomitable matriarch. It’s kinda silly (kinda? ), but very entertaining, superbly shot by J. Peverell Marley, and Cyril Mockridge gave it a rousing (uncredited) score. Watch how quickly Power falls for Faye—it’s like they were setting a record. 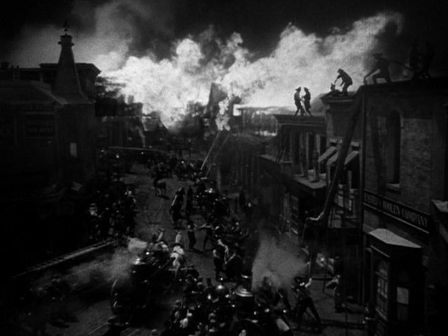 The finale goes berserk with lavish special effects as the studio art directors and pyro-techs recreate the 1877 blaze on a mammoth scale. 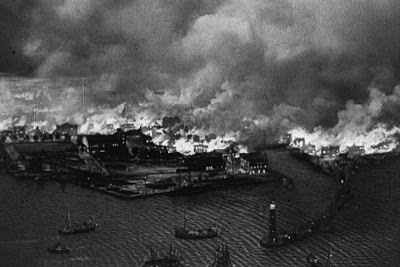 It’s one of the Great Movie Conflagrations as blocks of buildings go up, fire engines race madly through the streets, police clash with rioters and thousands of extras flock to the water of Lake Michigan. Robert D. Webb got most of the credit for the action, winning the Oscar for Assistant Director. Henry King was the primary director, Andy Devine and Sidney Blackmer co-star, it runs 95 breathless minutes. Besides its two take-home trophies, it was nominated for Best Picture, Story, Sound and Music Score. For some reason the Academy dealt with this as a 1937 release: I guess shopped it to a few venues to qualify for ’37,and then released to the herd in ’38. In further pixilation, an unknown person showed up to receive the absent Brady’s statuette—and took off with the little gold critter, never to return.